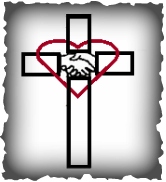 Mission to be a Christ-centered community for all who need Christ's Love and friendship. Prescott Community Church's vision includes the development of a system of exceptional congregational care. The goal is to design an amazing loving faith community that will be a magnet for people who desperately need God's grace and love. Taking the team approach affords more people the opportunity to use their God given gifts to serve others, giving God the Glory. "We're the Friends You Haven't Met... Yet!"